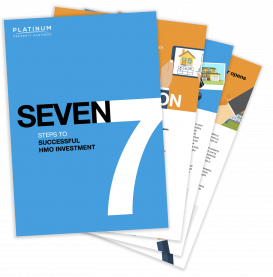 Whether you’re just starting out on your property investment journey or looking at ways to diversify your current buy-to-let portfolio, this guide provides you with expert insight into successfully investing in Houses in Multiple Occupation. Find out which best practices to follow to find the right property in the right location and how to ensure your HMO is profitable, but more importantly, compliant. Our promise: NO SPAM! Just specialist property updates from the experts in our network, every month, straight to your inbox. We’ll also never share your details with anyone outside the Platinum family of companies. This guide has been brought to you by Platinum Property Partners, whose combined portfolio of more than 800 high quality and affordable HMOs, worth in excess of £250 million, is home to 5,000+ happy housemates.